Flora L. Hendley served the public schools of the District of Columbia from 1876-1924. In 1890 she was given the principalship of the Seaton School, where she served as principal for eighteen years. In 1908 she was promoted to supervising principal and assigned to the sixth division. 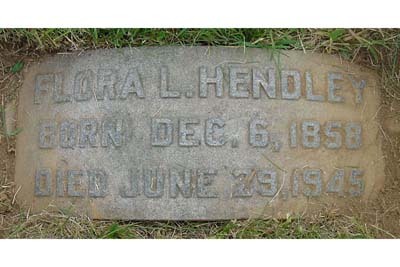 Miss Hendley served for sixteen years as supervisor of the elementary schools in Northeast Washington that composed the sixth division. 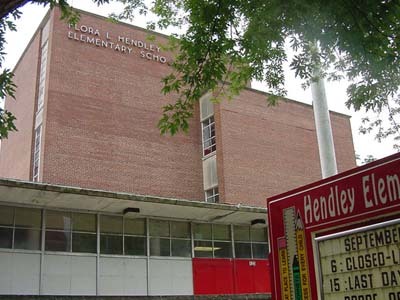 For more than ten years Flora Hendley labored unceasingly for the enactment of a law providing pensions for the teachers of the District of Columbia. She retired after forty-eight years of unselfish and outstanding service to the public schools of the District of Columbia. Flora is buried next to her sister, Myra who was librarian of the Washington Club. Neither woman married. 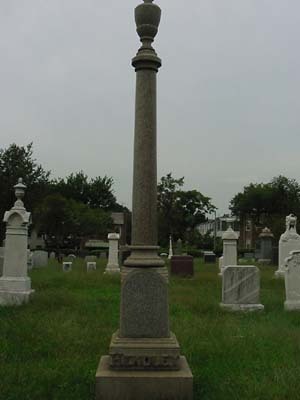 In addition to her mother and father, the Hendley plot contains the remains of Flora’s brother who served as an aide in the White House during the administrations of Presidents Hayes, Garfield, Arthur and Cleveland.